I like the previous track Dada Life released, Happy Violence, much better but this track is still loud and the production quality is high like always. Dada Life has been producing a new track, remix, podcast and touring live shows every month this year. Talk about busy! I especially enjoyed the Uppermost remix of Happy Violence. 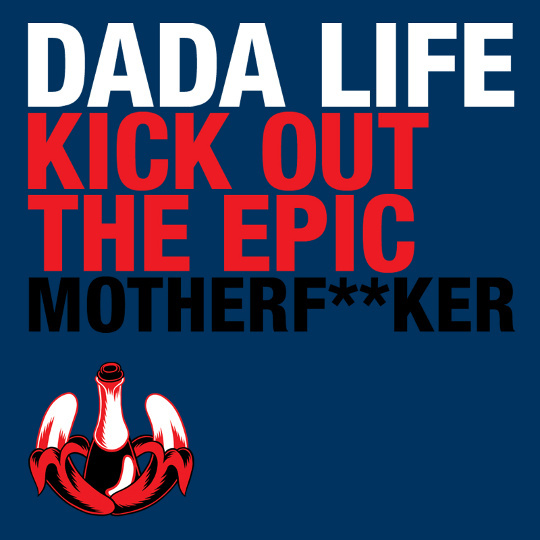 Check out Dada Life's website, Soundcloud, and Youtube page for more epic. The vocal one was great, I think I'd go with the second version for my favorite though. Its got a good beat and I can dance to it. hmm, this add on your page looks nice..
Love this kinda stuff for background music while I work on stuff. Ah, they're party tracks. I like 'em, but I agree with you. Better quality before. Have to say I preferred the extended vocals version to the remix. Nice songs, especially liked the second one. So the first one was just okay, I liked the second one a lot, and then I loved the third (prefer it to the second one also). Overall a pretty good track list! I can't view your blog properly because Imageshack keeps telling me "Domain Unregistered" and I see this yellow frog everywhere.